T-shirts – a versatile item of clothing to suit everyone! Increase your brand awareness with embroidered T-shirts to suit every budget. 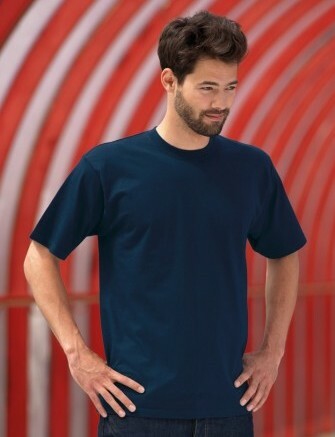 Royale Leisurewear offers various styles of T-shirts available in different sizes and in virtually any colour. Our embroidered T-shirts are designed for comfort and value. Embroidered T-shirts are an affordable way to show off your brand or logo for all to see, while giving your staff or members a smart appearance and identity. Because we have over 25 years experience at Royale Leisurewear, we can help you to choose the best style of embroidered T-shirt to suit your needs. For more information, please do not hesitate to contact us on 01773-550614 and we will be happy to help you. Alternatively fill in the contact form on our website and we will get back to you as soon as possible. Sizes for Royale Leisurewear’s high quality but affordable embroidered T-shirts. Baby T-shirts – Sizes available: age 3-6 months, 6-12 months and 12-18 months. 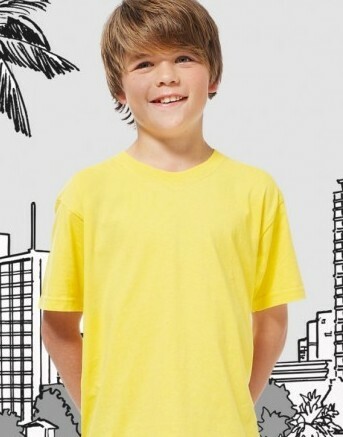 Children’s T-shirts – Sizes available: age 2-3 years, 3-4 years, 4-5 years, 5-6 years, 6-7 years, 7-8 years, 8-9 years, 9-10 years, 11-12 years, 12-13 years and 14-15 years. Adults T-shirts – sizes available: XS, S, M, L, XL, 2XL, 3XL, 4XL and 5XL. Ladyfit styles available up to size 2XL. Choice of styles may be limited for larger sizes, please ask about our embroidered t-shirts and our experienced staff and we will be happy to help.